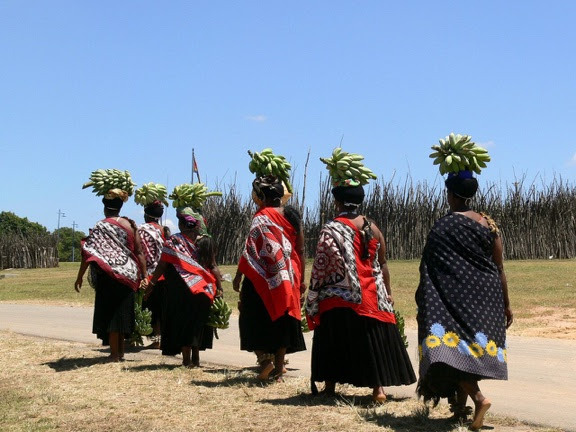 Global Travel Media » Blog Archive » Take on Swaziland’s Festival Challenge! 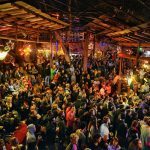 Take on Swaziland’s Festival Challenge! South Africa’s lesser-known neighbour, Swaziland, offers stunning landscapes and exciting game but it’s also known for its many festivals. Join us for a truly authentic African festival experience all year round! 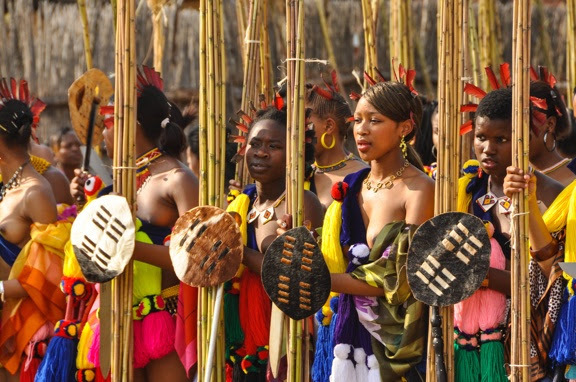 The Kingdom of Swaziland is well known for its many cultural festivals. The Swazis are friendly, relaxed and easy-going people who love to party and gladly welcome visitors into their cultural celebrations. The Swazi festival calendar is an eclectic mix of both first-class modern, and time honoured traditional events. The tribal rituals and ceremonies such as Incwala, Marula Festival and the world famous Reed Dance have captured the imagination of visitors to Swaziland for generations. Swaziland is also home of the internationally acclaimed, MTN Bushfire, a three-day festival experience for all ages that celebrates its 10th Anniversary this year. During the weekend of May 27th-29th, the country hosts MTN Bushfire Festival, announced by CNN as one of the “7 African music festivals you really have to see”. It is Swaziland’s annual meeting of a multi-generational community. More than 20,000 ‘Bring their fire’ to experience the three-day event. Renowned for eclectic and multi-dimensional world music, the event includes a compelling line up of theatre, poetry, dance, art exhibits & installations, story-telling, puppetry, film, and theme workshops. The 2016 edition is the culmination of ten incredible years of passion, dedication and commitment to the music, arts, and culture of Southern Africa and beyond. The stellar, incredibly diverse line-up for the 10th anniversary edition of the festival is truly a global celebration, with artists from over 20 countries set to perform. In late August it is the Swazi women who lead the country’s celebrations in the annual Reed Dance. Young girls mainly in their teens from all over the Kingdom and beyond its borders gather and pay homage to the Queen Mother. Over 20,000 girls dressed in brightly coloured beaded skirts with anklets, bracelets and colourful sashes gather to perform before the Royal Family in a celebration of unity of the countries young women. Incwala Festival, held at the start of a new year, on a date chosen by astrologers in conjunction with the phases of the moon, is one of the biggest and most spectacular events in Africa. 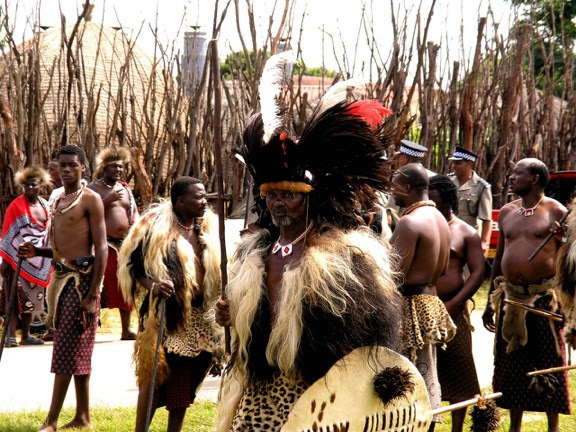 For the Swazi people it is an important religious ritual, a fertility ceremony designed to both prepare for the coming year and serve as a symbolic renewal of the Monarchy, the King leads festivities and in full ceremonial dress joins his warriors in the traditional dance. In February, the Marula Festival is a royal tribute to the riches of Mother Nature, where local Marula fruit is harvested and used to make beer to a traditional recipe. The Marula Festival starts at the Royal Residence, Ebuhleni, when King Mswati III and the Queen Mother are presented with gifts and Marula beer from each household. Only after the Royal Family has first tasted the Marula Beer, are the rest of the national permitted to join in and drink. After this, King Mswati III and the Queen Mother start to travel across the country, joining the nation in song, dance and celebration. The Kingdom of Swaziland offers all year round festivals and cultural celebrations for the delight of Swazi’s and visitors from around the globe. Take Swaziland’s festival challenge and enjoy on (or all) or the most truly African experiences in the tiniest country of South East Africa.